We carry an extensive collection of different types of air conditioners for both residential and commercial use, including window air conditioner units, through-the-wall ACs, ductless portable air conditioners, mini split air conditioners, PTACs, VTACs, and multi zone air conditioners, all in varying sizes and BTU ratings. We also offer a variety of air conditioner parts and accessories to aid in both installation and repair, including wall sleeves, mounting kits, line sets and more. 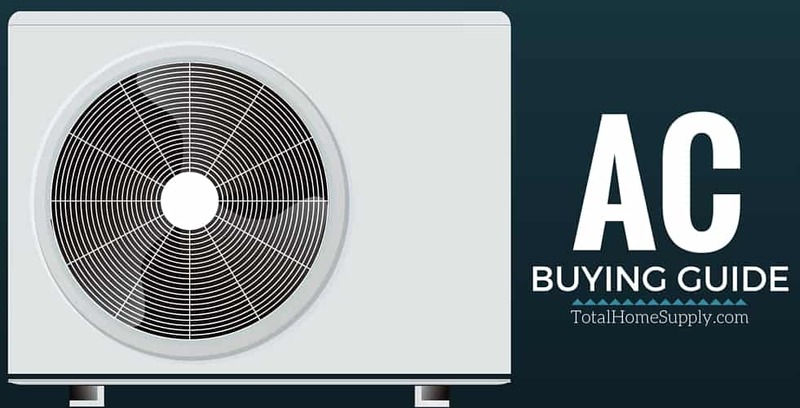 At Total Home Supply, we offer air conditioning units from some of the best names in the business, including LG, Amana, Friedrich, Panasonic, and more. We're committed to helping you find the right product for your specific needs — be sure to contact our specialists if you have any questions about any of our AC units. Looking for Help with Buying Air Conditioners? We’ve Got You Covered! 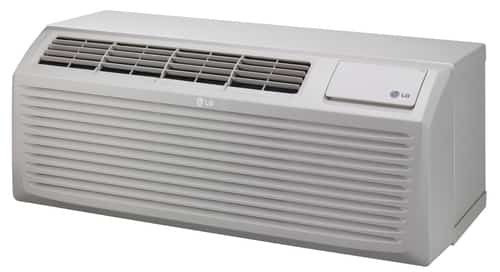 LG’s recently updated line of PTAC units is a great choice when heating and cooling are needed in a room. Whether you are replacing an existing PTAC or installing one for the first time, the LG LP153HDUC is both a quiet and energy efficient option at a great price. Ductless mini splits are the ultimate cooling solution. 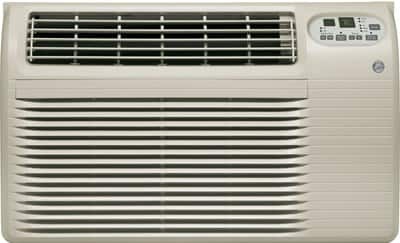 If you have a room that is not well covered by your central system or if you are looking to replace a window air conditioner with something better, this is the right unit for you. As a bonus, our top-selling Daikin mini split includes a heat pump for an all-in-one solution. GE has been making the AJCQ series of through the wall air conditioners for years. This latest model is Energy Star qualified and at 12,000 BTUs it is perfect for a room that is 375-500 square feet. Using the industry standard 26" x 15 5/8", size this unit makes replacements or new installations easy. Every year, we revisit our guide to make sure we’re bringing you the most up-to-date information on air conditioners to help you find the right product for you. Our guide not only contains a list of the best units but it also will help you understand which type of unit will work best for your application. From standard window AC's to top-of-the-line mini splits, we cover it all. Choosing the right size air conditioner is critical for your comfort. If you get a unit that is too large, it will short cycle and fail to remove humidity from the air, which will significantly decrease its lifespan. If you get a unit that is too small, it will struggle to keep up causing the room to not actually cool down all while the unit is overheating. 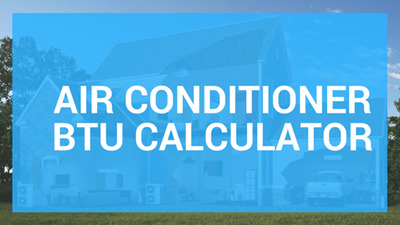 We used our years of experience to build our easy-to-use BTU Calculator tool from scratch. Mini split air conditioners and heat pumps are the most efficient form of cooling and heating, but planning a system for multiple rooms in your home or office can get complicated. We put together a detailed guide that will take you through the process from start to finish. 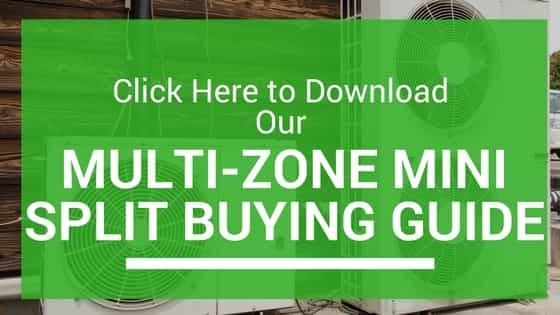 We cover everything from how a multi zone mini split system works to how to select line sets and install your system. This is guide is your key to unlocking the amazing benefits of a mini split. Are you shopping for a hotel or commercial property? We have a full selection of PTAC, Mini Split, and other heating and cooling units typically used in hotels, motels, dorms, apartments, and more. Check out our guide to learn about the types of units we offer and then get a quote tailored to your needs.